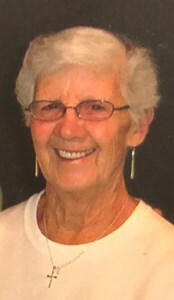 Newcomer Family Obituaries - Mae Joan 'Jody' Gast 1930 - 2019 - Newcomer Cremations, Funerals & Receptions. Jody Gast passed away peacefully on Wednesday, February 6, 2019 at her son Dave's home in Littleton, CO. She was born on October 16, 1930 in Ethan, South Dakota to Nan and John Pierson. She grew up and went to school in Mitchell, South Dakota where she met and married Gene B. Wiley. They had four children Dave, Pam, Ron, and Jeff. In 1958 the family moved to Aurora and made it their home. Jody's passion was her family and was a devoted wife, mother, grandmother, and great-grandmother. Jody is survived by her children: Dave Wiley and his children Justin (Michael), Ryan, and Dani (Jackie); Pam Jussel (Scott) and their children Kyle Jussel (Allison), and Jamie Fasano (Jesse); and Ron Wiley (Deanne). She had two step-children: a daughter, Cindy (Gast) Powell and a son, Kim Gast. She had five great-grandchildren Sydney, Mason, and Cameron Jussel, and Mia and Nora Fasano; her brother John Pierson (Janice), her sisters Carol Melton, and Audrey Heidinger, and many nieces and nephews. Jody was preceded in death by her husband Gene B. Wiley, her second husband Val Gast, and her son Jeff Wiley. Her service will be held in Evergreen, CO at the Ascent Church on 29823 Troutdale Scenic Drive at 2:00 on Saturday, February 16, 2019. Jody took such good care of her family and filled them all with endless love and devotion- she will be missed greatly by all of us. We ask that instead of flowers that donations please be made to Alzheimer's Organizations. We love you Mom! Add your memories to the guest book of Mae Gast. Rest In Peace Aunt Jody. You will be missed so very much. I don’t know how you turned out so quiet and reserved growing up with your sisters. LOL. I know you are happy being with Uncle Gene, Jeff, Grandpa, Grandma, your sisters and brother again. We will see you again one day, until then you will be missed. GO BRONCOS! Love you. PS. Tell them all that I love them, especially my momma.